The Boss Eau de Parfum Spray is a classy fragrance that soaks the senses with its mesmerizing aroma. This perfume was launched by Hugo Boss in 2000. The top notes of Mandarin Orange and Mango add a sweet-citrusy punch to the fragrance and uplift senses. The heart is beautiful and seductive with floral notes of Violet and Freesia. Trailing with the creamy and woody scents of Sandalwood and Cedar, this feminine fragrance is fresh, lasting and perfect for everyday wear. WatchMaxx.com sells only 100% authentic, brand new merchandise, complete with the manufacturer's packaging and a minimum 2-year guarantee with service or repair by WatchMaxx. 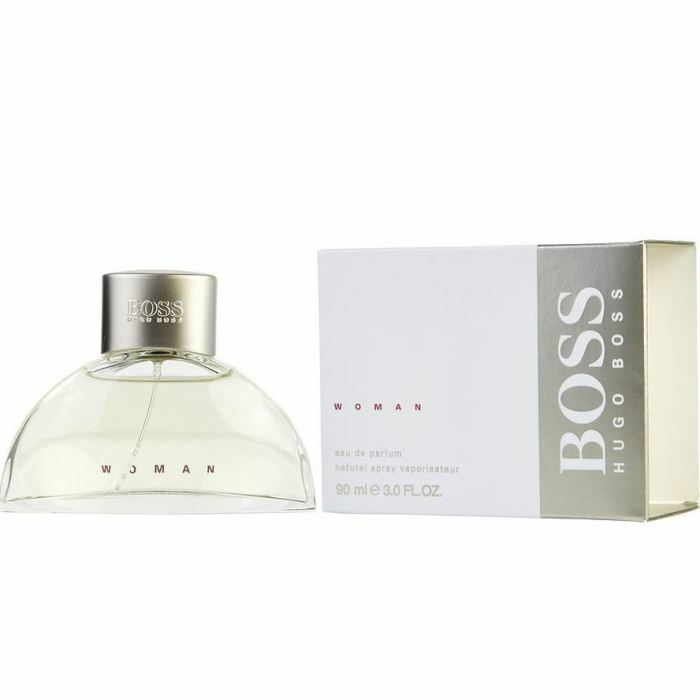 WatchMaxx offers products from the world's finest and most respected brands, such as this Hugo Boss Perfume Boss Women EDP Spray 3 oz Women's Fragrance 737052057989.